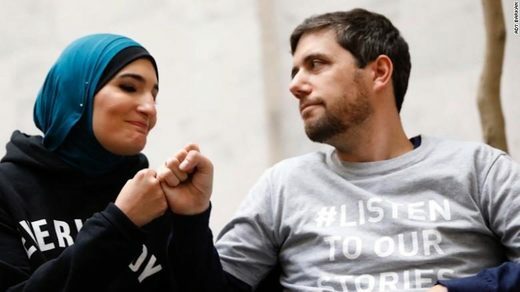 Ady Barkan, a Democratic progressive activist who is dying of ALS, just put up this thread on Twitter in response to Ilhan Omar’s powerful tweet of last night about AIPAC. He tells the story of how AIPAC reached out to a candidate he was working for, and the candidate’s compliance was “definitely about the Benjamins.” He describes the importance of Omar’s intervention in calling out AIPAC, a “pillar of the occupation,” and the refusal to discuss the lobby’s financially-driven power to do “terrible things.” Barkan wrote: A thread on @IlhanMN, anti-semitism, and my personal experience with @AIPAC’s money. In 2006, I was the first real staffer on a long-shot Democratic Congressional race in deep red Ohio. My boss was a hippie doctor with a lefty perspective on international affairs. . . .very skeptical of military force, opposed to the Israeli occupation of Palestine, etc.